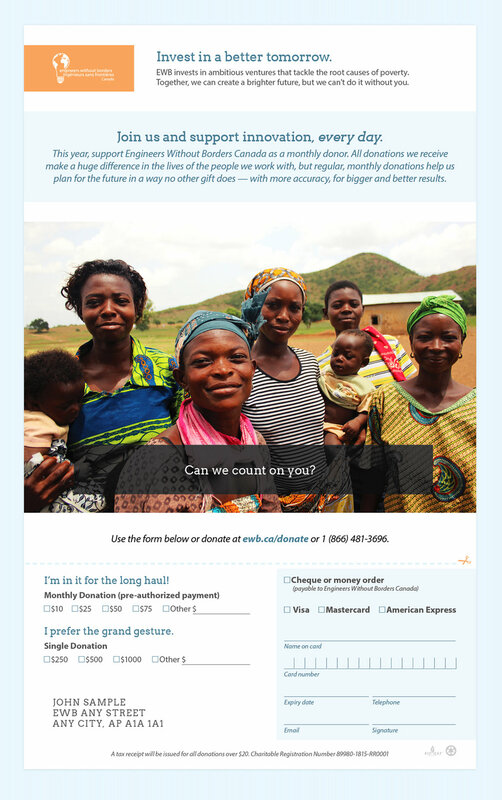 Like many non-profits, EWB Canada’s annual fundraising drive is crucial to their continued sucess. I worked with them on their 2014 campaign and was swept away with their enthusiastic, passionate staff. I became deeply invested in the project and worked with them through the whole campaign, including a significant amount of copywriting on top of the design I had been initially recruited to do—a direct mail piece with thank you cards and graphics for the website and social media. The fundraising efforts had two branches. First, we created a landing page and supporting graphics for the student chapters of the organization to use in their own campaigns. 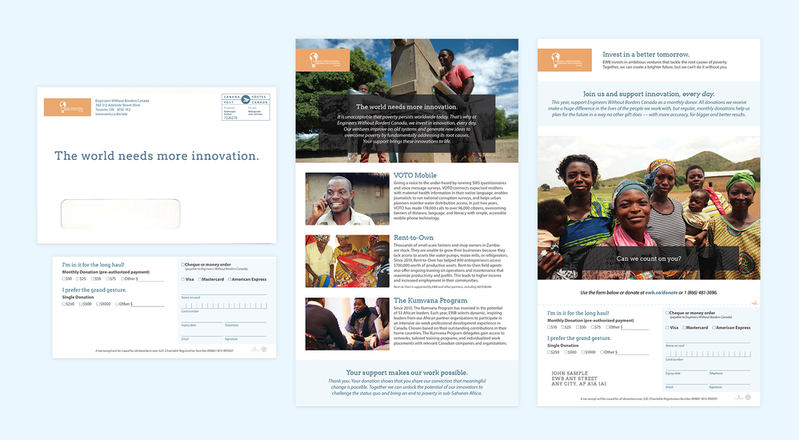 Second, this direct mail piece was sent to all previous and potential donors, outlining EWB Canada’s impact over the past year and asking for their support. The EWB Canada staff sent a personalized thank you postcard for each donation form returned.